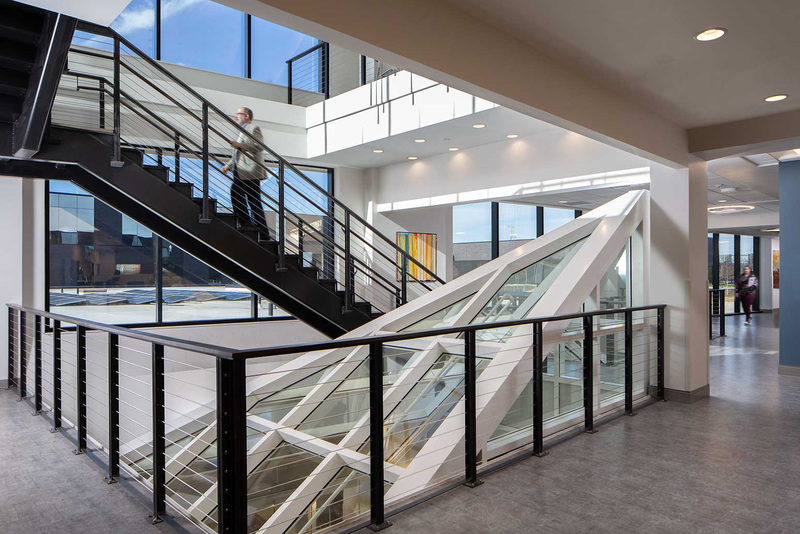 TMP, in association with Hastings Architecture Associates, designed the Metropolitan Nashville Police Department Headquarters (MNPD Headquarters) and Family Justice Center (FJC). Messer Construction was the Design-Build Contractor. This unique project consists of two buildings. The new 120,350 SF MNPD Headquarters houses the offices for the Chief of Police, 5 Deputy Chiefs, and their departments and staff. The facility also contains a parking garage, and a vehicle information technology installation garage. The new 67,000 SF Family Justice Center houses the Metropolitan Government of Nashville and Davidson County’s Office of Family Safety, the Nashville Children’s Alliance, MNPD Domestic Violence counselors, TN Department of Children’s Services, District Attorneys, and other non-profit agencies.